The SANITANA brand came into existence as soon as the company started to fabricate and commercialize its products, having been present in the market since 1981. Very early thought out with the Clients full satisfaction in mind, it went through several evolutionary stages regarding its positioning in the marketplace, in order to better respond to the necessities of its target audience. 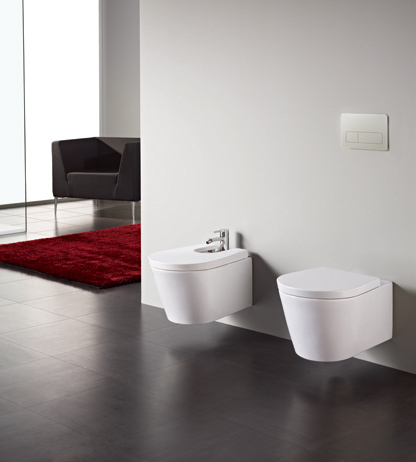 Nowadays SANITANA commercializes the following products: sanitary ware series, wash basins, bath furniture, urinals, taps, simple and hydro massage bathtubs, hydro massage columns and cabins, shower enclosures, shower trays and kitchen sinks. Because our ambition is to produce the best bath articles, with the best processes and the best people, we have made efforts throughout the years in order to enhance our infra-structures, equipments, but also update and enrich the knowledge and know-how of our teams and those who work with us. Sustained growth and development, with the presentation of new products, has always been and will always be our commitment.